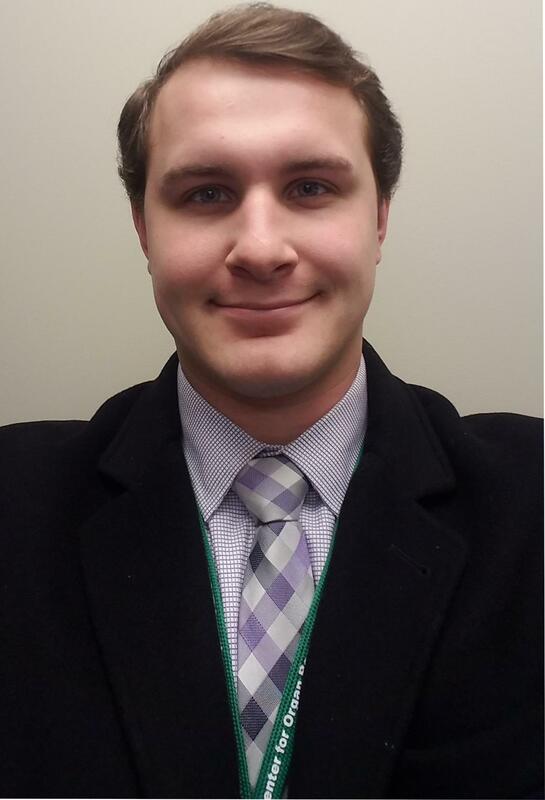 Hello, My name is Eric Lewandowski and I am entering my second semester in the MS Leadership program. With only one semester under my belt I have seen immense growth in my performance in and out of the workplace. My studies have provided me with tools and knowledge to leverage in the office, and new perspective on communication and problem solving that have helped grow my professional and private relationships. Due to the nature of my job I often find myself in discussions with senior leaders in my organization. These discussions and debates can be difficult to navigate being that I am so young and new to the team, but my studies have been an enormous help in standing strong during these high pressure situations. Getting your seat at the table can be a rough road. An MS in leadership is a great way to help you get there! "The M.S. in Leadership on-line program has proved to be very beneficial to me. I received my undergrad degree 35 years ago from Duquesne and, when I was making the decision to return to school at my age, with a full-time leadership role in my agency and personal commitments, this program seemed like the right choice. The convenience of being able to complete assignments according to my schedule is the biggest advantage to this program. While I never thought on-line schooling would be for me, I am pleasantly surprised to have been wrong. After taking only two classes, I see myself growing in my confidence to lead and thinking differently about how and why I lead. My decisions are becoming more thoughtful. On a daily basis, I am amazed to be able to test and use the concepts I learn in class in my current leadership role. Hearing about the experiences of my classmates also helps me make better daily decisions as a leader. Learning about their real-life experiences, coupled with the texts and the professor's knowledge, provides a well-blended experience. The one challenge I have faced is my struggle with the use of the computer as my main avenue of communication, mainly due to my age. However, between the support of the IT department and the professors, I have been able to overcome these struggles. I am grateful for this program. The mixture of convenience and the high academic level of the program and university help make my journey to complete a Master's degree in my own time an achievable goal." "My time spent in Duquesne's School of Leadership became one of the best investments I have ever made. I am a contractor working in Information technology, and in this realm it is rapid, turbulent, and constantly changing. When I started the leadership program I was in a team lead role. I quickly recognized deficiencies in my ability to strategize, manage, or lead my team. I applied to the leadership program because of my interest in learning leadership, to understand how to influence others to achieve a common goal, and to perform yielding extraordinary results. I wanted to understand not only the technical aspects within a Master's program, but also the social aspects; to learn not just the cognitive human condition in comprehending one's rationality, but also to learn how as a leader to efficiently identify and respond using intelligence and collaboration. Understanding the importance of relationships as a key determining factor to viable connection points is an absolutely critical piece in every successful organization's framework. Duquesne gave me tools in which to embrace order and chaos, to manage relationships and conflict within a team environment in a way that best synergizes the team, and during my years as a team lead, my team frequently received accolades in performance and I had only two employees during my tenure leave the team, which speaks to the synergy we were able to cultivate, thanks in large part to Duquesne. Towards the end of my leadership program, and having successfully absorbed and able to apply many of the technical, business, and social disciplines learned through Duquesne, I was selected to become the organization's first special projects engineer, with my primary focus engaging on longer term, deep-dive, technical projects, such as multi-factor authentication for Oracle Solaris Operating Systems, or building and configuring Business Warehouse Accelerators for our SAP community. Duquesne's Leadership program teaches how to effectively formulate theory models, how to apply them as well as how to strategize building multi-dimensional frameworks while aligning and observing internal policies, rules, and regulations. This was of tremendous value to me in helping build an analytical frame of mind to apply to future projects arduous and complex in nature, within the world of IT. Four months after my graduation, my organization asked me to join the IT Solutions Architecture team. Now I am one of four Solutions Architects that report directly to our customer's leadership with future technologies and strategies moving forward. We oversee all change requests that formally enter the Change Control Board, we discern and govern all customer technology requests at our Review Board, and we design archetypes for our Operations teams to implement. It is challenging to understand the complex interactions between suprasystems and subsystems, of knowing how and when to fluctuate between the component of each part - to the sum of all parts. But Duquesne builds and teaches this framework of success that applies such levels systems thinking, as well as personal mastery, shared vision, and team learning. Moving into managerial positions, it is tacitly important for leaders to understand the differences between managing and leading. Managing (as one of my classes conveyed) veers towards stability, certainty, and predictability, while leadership veers towards turbulence, uncertainty, and change. To be successful, you need to know when and how to do both. You need to know when to manage, when it is important to create structure, tasks, and functions. And you need to know when to lead, to know how to direct all those current structures and activities towards an overall objective. Duquesne's School of Leadership exposes you to the myriad pitfalls of supervisory and leadership, and teaches you how to circumvent and overcome them. It is a journey well worth the investment to expand one's philosophies and mindset, in large part because the lessons taught transcend the professional workplace and in to the personal arena as well, making one a well-rounded thinker and learner for life."